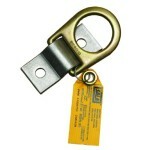 such as our tie-off adaptor, fixed beam anchor, D-ring anchorage plate, etc. 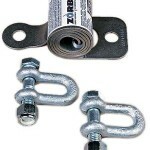 We’ve added safety and taken the guesswork out of putting together your own horizontal lifeline system. Can you answer the following questions; How much clearance do I need? How will lifeline sag and span distance affect the safety of my system? What forces will be generated on my end anchors? 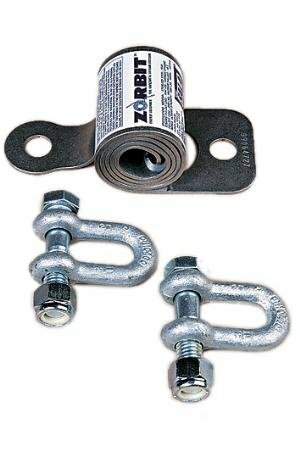 Do my anchorage connectors and support structure have sufficient strength? Now you can! 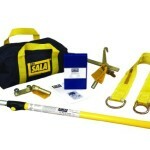 This revolutionary new shock absorber featured on our BeamSafe and cable Sayfline systems is also available separately. In situations where a competent person understands the requirements needed, Zorbit can be attached to your own system to bring added safety to a previously unsafe system.